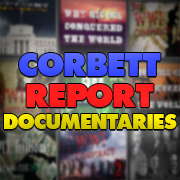 http://www.corbettreport.com/mp3/2019-04-18%20James%20Evan%20Pilato.mp3 This week on the New World Next Week: New Epstein accuser emergers; Russia pines for New World Order; Beware the Ides of April. Shemitah 2015 – Prediction or Quackery? http://www.corbettreport.com/mp3/2015-09-02%20Jeff%20Berwick.mp3 Today James is joined by Jeff Berwick of dollarvigilante.com to discuss his new video “Shemitah Exposed: Financial Crisis Planned For September 2015” and his forthcoming book on the subject. They share their views of what the Shemitah is and isn’t and discuss the value of promoting this prophecy as a warning for the coming financial chaos. 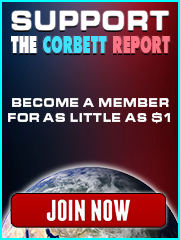 http://www.corbettreport.com/mp3/2014-12-18%20James%20Evan%20Pilato.mp3 On this year end wrap-up edition of New World Next Week, James and James look back at the biggest trend of 2014 and look ahead to predict a trend for 2015. This week on the New World Next Week: algorithms are being used to predict the geopolitical future; additives and chemicals are being removed from more foods as corporations run scared; and James and James run through some updates to old NWNW stories. As 2013 is underway, join us as we talk to our good friend James Corbett about the coming year. Some the issues that we tackle are the mainstream media, the alternative media, the European Union, Syria, Russia Today, the crash of PLF 101, the economy, and the mass media coverage of Sandy Hook. Ultimately, we talk about how each of us are capable of changing the world around us, and that sitting back waiting for the next tragedy is the real tragedy.